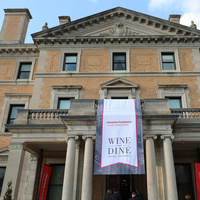 NewYork-Presbyterian Hudson Valley Hospital’s 9th Annual “Wine and Dine” event will take place on Wednesday, April 3rd, from 5:30 to 8:00pm at the Sleepy Hollow Country Club. Join us for a special culinary experience that also supports the hospital’s Cancer Program. Call 914-734-3526 or email nyphudsonvalleyevents@nyp.org.